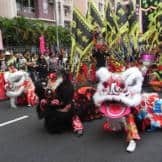 With more than 1,000 colourful lions and dragons dancing through the streets of Tsim Sha Tsui, the Dragon and Lion Dance Extravaganza is bright, brash, and big—big enough to take its place in the Guinness World Records four times. The annual event, which takes place on January 1st, transforms the streets into a sea of colour, with bright costumes, flags, glittering gold, clashing cymbals, and firecrackers, meant to scare away bad spirits, and bring good luck in the new year. The action begins at the Piazza in front of the Hong Kong Cultural Centre, at the Tsim Sha Tsui waterfront. 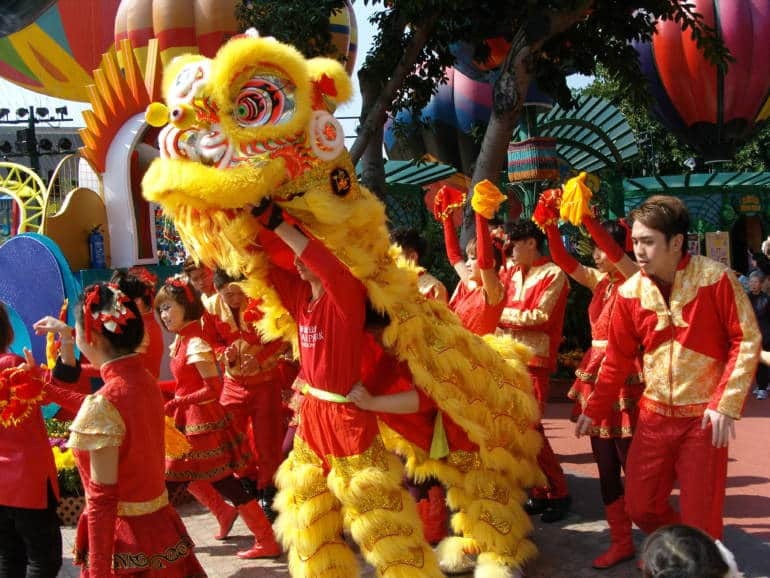 Visitors will be treated to a Dragon and Lion Dance Parade, a Lion Dance Competition, and traditional shows such as pole jumping, an incredible feat where the costumed lions jump from pole to pole without falling, as well as martial arts performances, acrobats, drummers, and music. The 2019 event also marks the Third Annual International Dragon and Lion Dance Day, where more than 20 troupes all around the world will kick off the festival simultaneously. Lion dancing has a long history in southern China, and is popular not only during the New Year celebrations, but also at big events such as the Mid-Autumn Festival, and important occasions like a wedding or the opening of a new business. 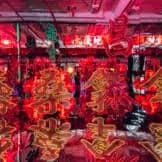 Lion Dance committees can be found everywhere from tiny rural villages in the New Territories to the heart of the business districts, and training starts from young. The magnificently detailed costumes require two performers to bring it to life—one for the head and front legs, and one for the back legs and tail. 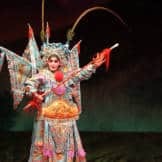 The performer at the front is responsible for swivelling the giant head, making its luxurious eyelashes bat and blink, and, of course, its huge mouth open and close. This makes the pole jumping an even more impressive feat.